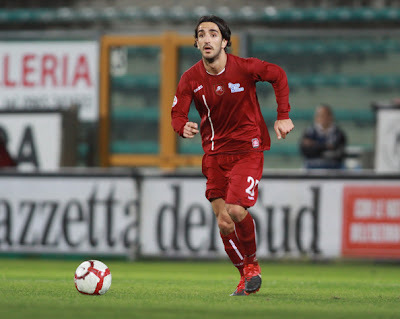 With no Serie A this weekend to occupy ourselves with, we cannot help but reflect on why: the untimely death of Piermario Morosini. A young, seemingly healthy 25 year-old playing football collapsed on the field from an apparent heart attack. And he was not the first. Despite grueling medical testing and daily fitness regimes, a very strict and healthy diet, and the regular care of fitness and medical experts, tragedy still strikes on the pitch. Are we doing something wrong? Or are we doing all we realistically can do? Piermario Morosini: Could his death have been prevented? After the recent collapse of Fabrice Muamba, who is considered incredibly lucky to have survived his episode, many in England discussed the issue of more intense heart screenings. The typical medical screenings can find a lot of problems, and there are those who are not permitted to play professional football for existing conditions. But small heart defects such as Muamba’s and Cassano’s go undetected without very invasive tests that require sedation. These tests are not considered affordable or practical to give to every player, and are still not 100% foolproof in their ability to detect flaws. But can you put a price on even one life? Should every player have to undergo these procedures (which create other risks in and of themselves) so that the rare player’s life is saved? When you see someone like Morosini, who was not as lucky as some, it seems like the only option. But there are no statistics to say how many lives policy like this would actually save. Then there are those who believe that a person’s fate is already set, and not even medical intervention would prevent the tragedy. Perhaps someone will find an affordable, viable procedure someday that is not so invasive, and this issue will no longer need discussion. But until then, feel free to take the poll and/or comment about Morosini or about the issue of more intensive heart screenings for football. Perhaps something positive will come out of this tragedy after all. This post inspired by the tragic loss of Piermario Morosini. May he be reunited with his family.